Hello! 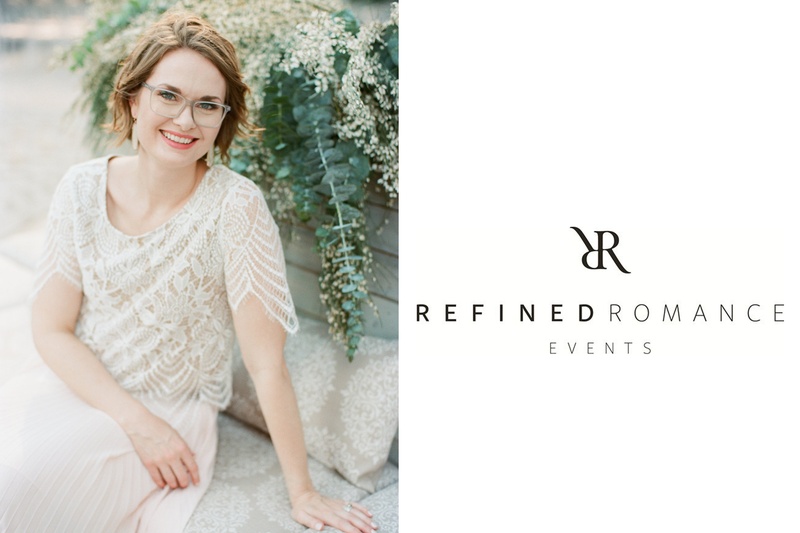 I’m Julie Blakey, owner and planner at Refined Romance Events. I was trained and certified by nationally known wedding planners and designers and sit on the board of American Association of Certified Wedding Planners (AACWP) in Dallas. BBJ Linen asked me to share some of my experience planning the latest AACWP Dallas event. Here is how I made a memorable event for the members. Being a wedding planner for nearly a decade means I’ve been able to plan and design some pretty amazing events! 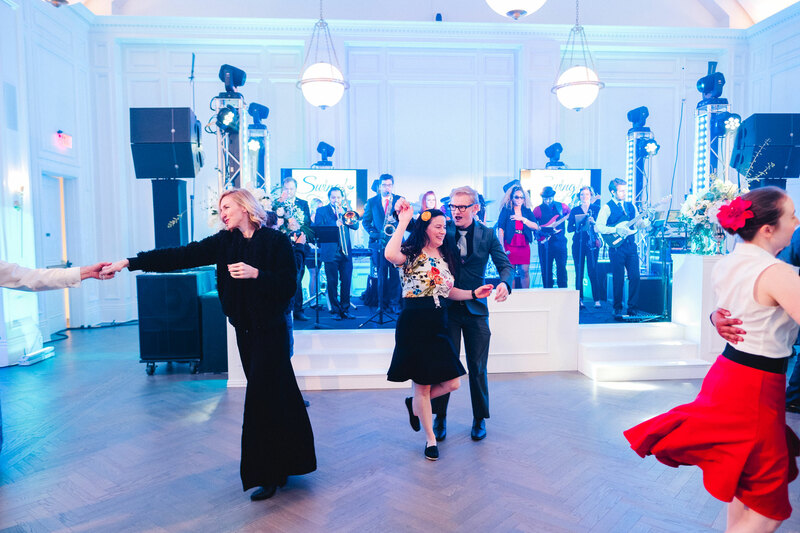 But planning and designing an event for a group of your industry peers, and all of them members of American Association of Certified Wedding Planners at that, means you have to take things up a notch. I came up with this crazy idea to do a progressive dinner for our AACWP members annual end of the year party and with the help of my committee (#shoutout Brooke Millis!) we were able to pull off an incredible night! We started at Hotel Crescent Court in the heart of Uptown Dallas for our cocktail hour and filled the room with smooth jazz music, refreshing cocktails and light bites. 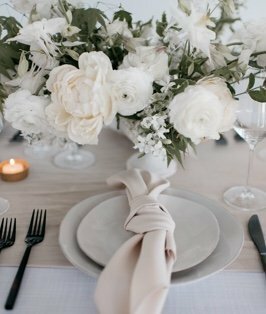 The Bisque Faille table linen were the perfect color and texture – bright but not summery with enough texture to give it some weight. 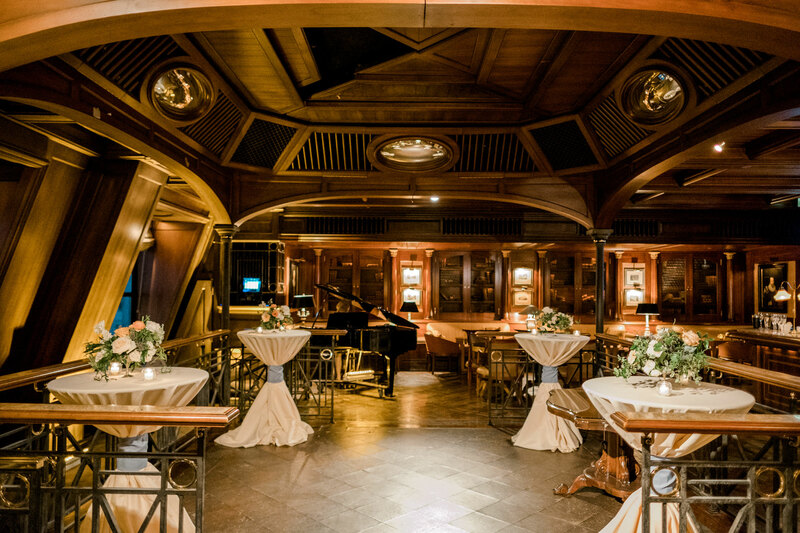 After surprising the members and their guests with a coach bus waiting downstairs, we swept everyone away to the iconic Warwick Melrose Hotel. 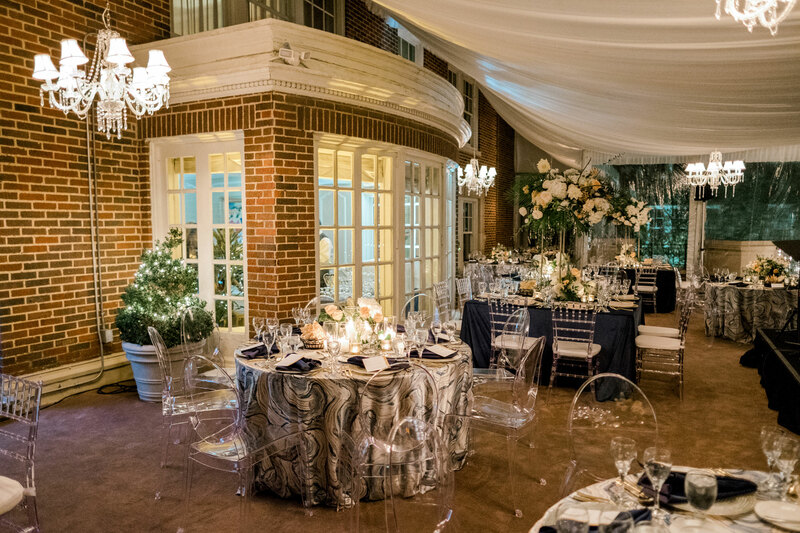 Here we really pulled out all the stops and were able to utilize their second floor private balcony, which was just large enough for our intimate group of 75 people. 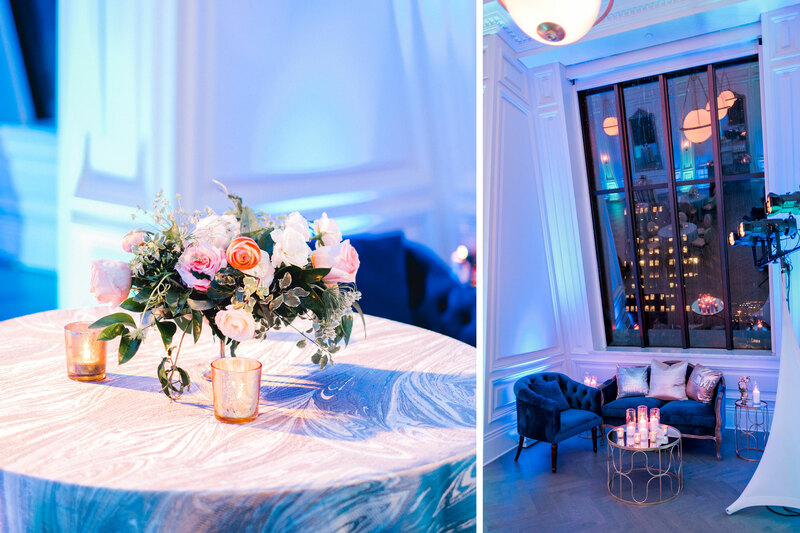 We’re obsessed with the velvet linen and wanted to use them in ways that would really wow our guests. 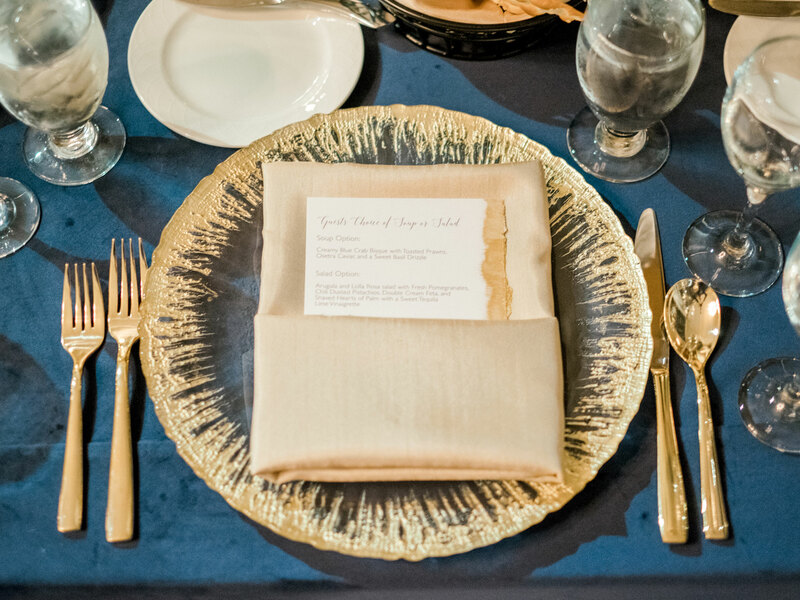 And the luxurious navy velvet napkins were like butter on your face and almost too nice to use…but someone we managed. 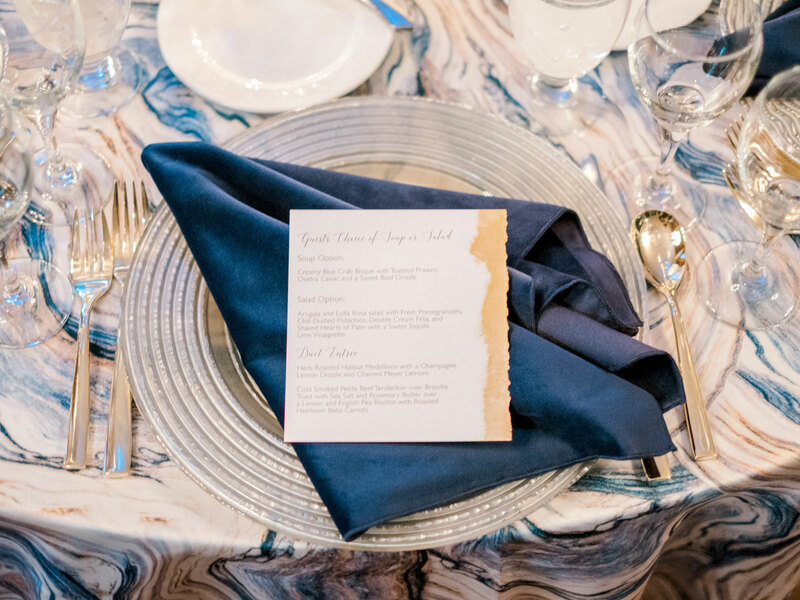 We paired this nicely with the Azure Agate, which was the perfect balance of playful yet sophisticated and the Starlight and Frost chargers finished off the look and made for just the right amount of glam at each place setting. We finished the night with an after party at the newly renovated 19th floor ballroom at the Adolphus in downtown Dallas. We complimented the greys and whites of the room by pairing the Magma and Lake Faille.